In our world a day thats starts with a phone call about a “hack” is very seldom going to be a good day. When we got a call from a long term client that they wanted an Mobile Phone App that tracked “hacks” my mind raced a bit to say the least, in the world of computers and programing the mere mention of the word “hack” can spoil your day. But after a trip to Cornwall to visit Woof Wear, a company who have been producing equestrian protection equipment ever since 1981, I discovered that a “hack” also means a horse ride. Woof Wear wanted to offer its customers 2 apps that allows the user to create profiles of their horses and then “track their hacks” which uses the GPS services to plot where you have ridden and save your rides on your phone for future use. These rides can then be shared with your friends via an inbuilt buddy system within the app and also via social networks ( twitter and Facebook) text and email. 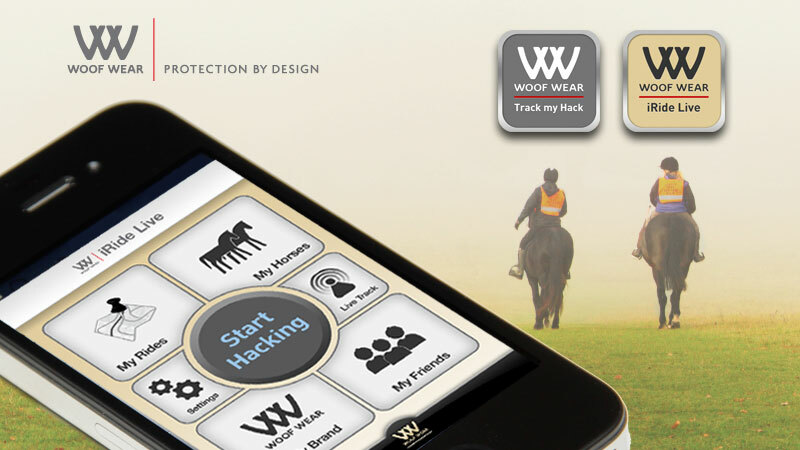 Inline with their brand Woof Wear wanted to offer an app that in the light of a few high profile horse ride accidents offers “Protection By Design”. The other app in this release offers all of the features of the main app, but also allows the rider to live track their “hack” with other users. This allows friends and family to view in real time where there friends are riding and of course if they are stationary for a long period it might mean the rider has had an accident and of course using the map feature you would know exactly where to find them. Both apps Track My Hack and iRide Live are available on Apples app store for iPhone and Googles play marketplace for android version. These Apps are a great use of the technology and a good example of a business offering additional services for its clients which in turn reinforces their brand. It was a pleasure to work with the team at Woof Wear on the apps and we wish them all the best with the project.